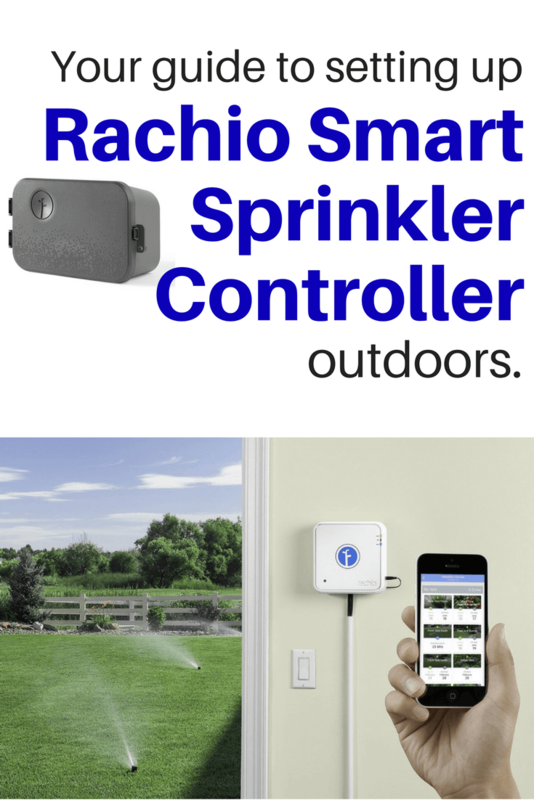 Rachio is an excellent smart sprinkler controller for scheduling and automating your sprinklers with your smart phone. But many interested users ask “is Rachio weatherproof?” before deciding to purchase one. The Rachio itself isn’t weatherproof, but the company offers 2 specially-designed weatherproof enclosure boxes for protecting Rachio outdoors. Let’s walk through how to install and use Rachio with a weather enclosure box to make sure it’s protected from the outdoor elements. 1.2 But what about outdoors? 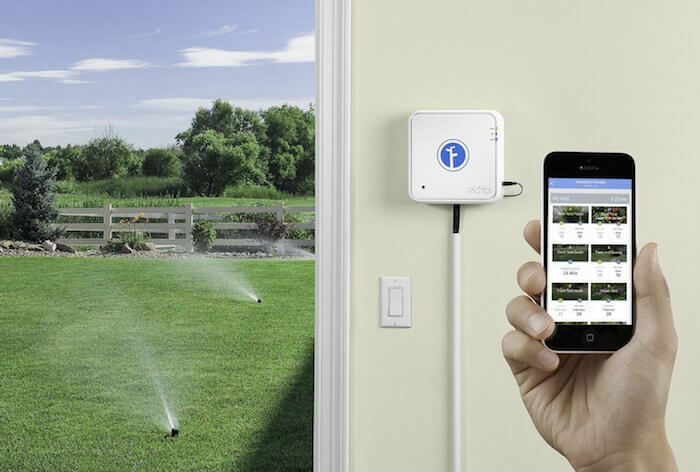 IFTTT integration: With their own IFTTT channel, Rachio lets you make specific rules to automate your sprinklers. For example, you can have Rachio track watering in a Google Spreadsheet, start watering if the temperature rises above 100 degrees, 0r have Rachio email you if it goes offline. Weather intelligence: Don’t water your lawn if it’s raining, unless you love paying more for your water bill. Rachio knows when it’s raining and schedules itself according to weather patterns. The savings mean that Rachio can quickly pay for itself. Water reports: Find out how much water you are using and saving. Smart home connection: Sync your Nest, Wink hub, Amazon Echo, and other devices to Rachio. Many of the features listed above are available with other smart sprinkler controllers too, such as RainMachine or Skydrop. But what sets Rachio apart is its ability to be easily installed outdoors. Many customers have sprinkler controllers installed outdoors, which requires a weatherproof installation option. While the Rachio Gen 1 and Gen 2 are not waterproof, Rachio offers different enclosures for both their first and second generation devices specific to their size and shape. The Rachio gen 1 controller has an enclosure recommended by Rachio. 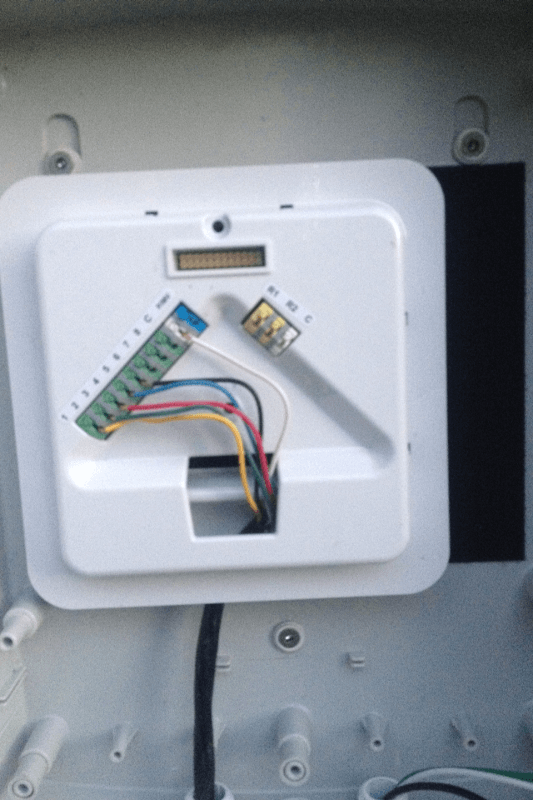 It comes with heavy-duty hook and loop tape for mounting the Rachio within the enclosure. It also has a latch designed to fit a padlock, if needed. 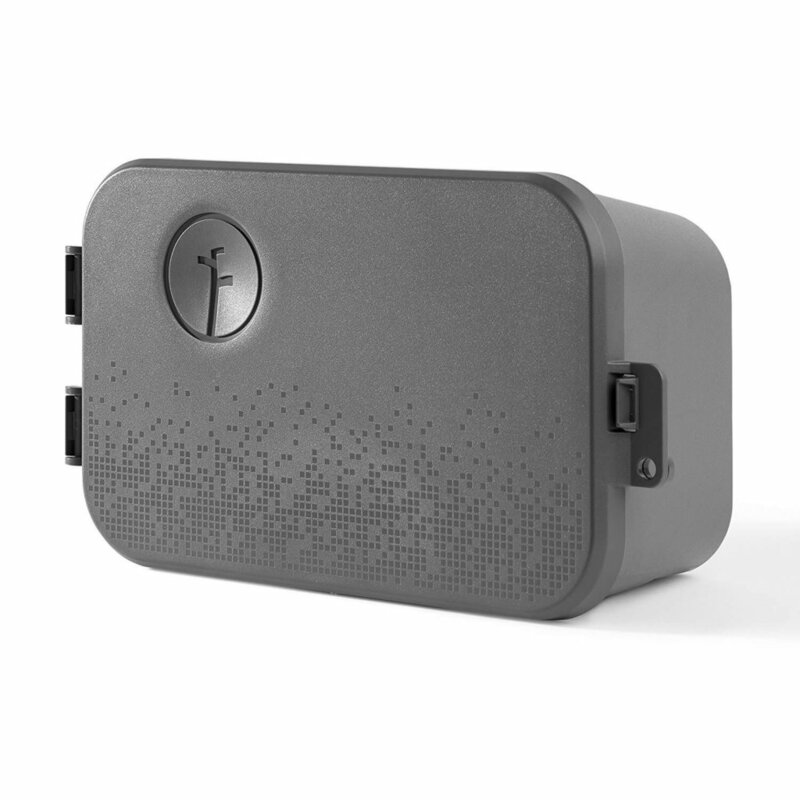 The Rachio gen 2 outdoor enclosure is specifically designed by Rachio to fit the gen 2 device, which is why it is a smaller, custom fit, with the Rachio logo on the front. It also offers a loop for a padlock and holes for wiring. Both Gen 1 and Gen 2 have in-depth installation instructions on Rachio’s website. Note that Rachio does not recommend hardwiring the Gen 1 controller directly, and doing so will void your warranty. Check your WiFi at the installation spot. Rachio recommends at least 2 bars. Turn off the power while wiring. Remove old controller, but take a picture of the wiring first. Unscrew old controller and unthread wiring. 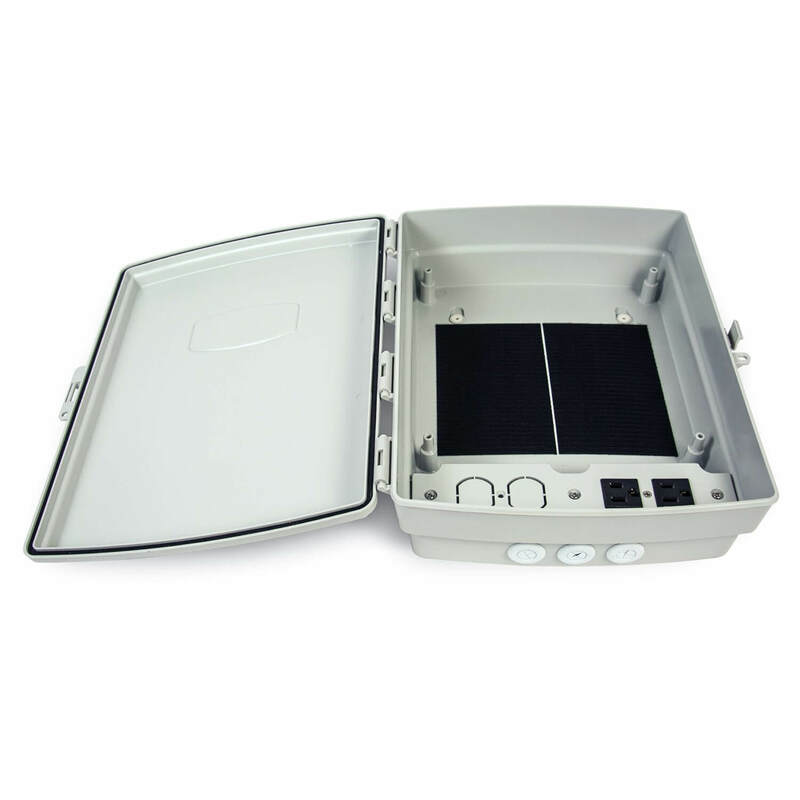 Feed adapters and wires through the holes at the bottom of the new enclosure and screw in an adapter nut to hold in place and seal off the hole so that it the box remains waterproof. Screw the enclosure into the wall. Cut wires as needed, stripping off enough plastic to create a good connection. Velcro the back of the Rachio to the enclosure (velcro is included if you buy the enclosure recommended by Rachio. Install wires into appropriate spots. Zone 1 is bottom left green slot and it moves sequentially until Zone 8, common, and master valve/pump. Add AC power by cutting wires and attaching via waterproof wire nuts. Attach to the AC panel, then connect the panel to the enclosure, and plug the power adapter into the outlet. You may also need to add PVP pipe to feed the wires directly into the enclosure. Again, Rachio’s website can direct you with more specific instructions on installing the wires and especially hooking up to AC power (which can be the tricky part). Mount the new enclosure. If mounting to drywall, use anchors. 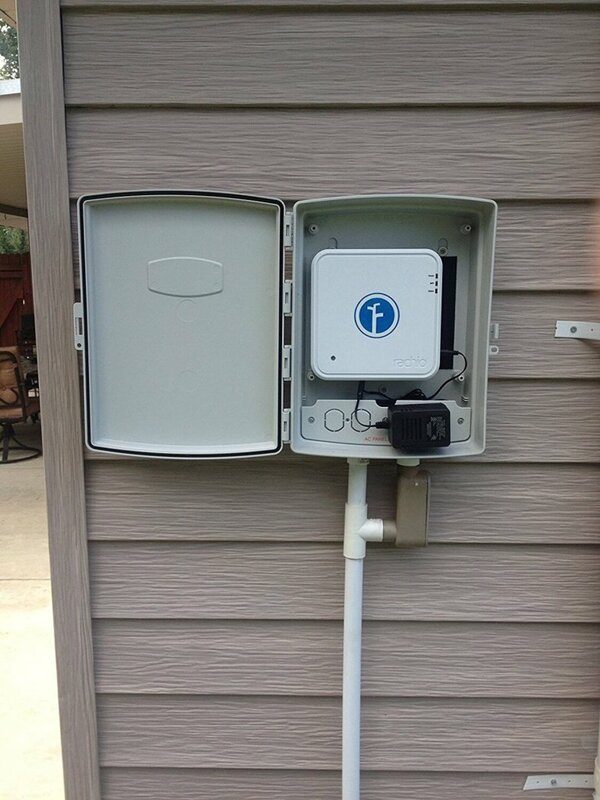 If your old sprinkler controller was plugged into a covered outlet, simply plug Rachio into this outlet. 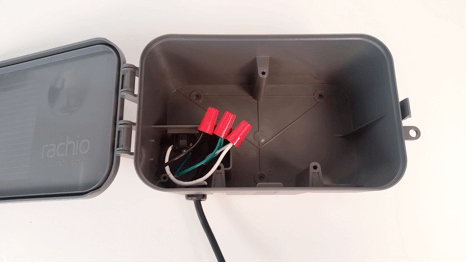 If not, hardwire it yourself using an AC rated power cord by feeding the power supply cords through the bottom of the enclosure, attaching wires using the connector caps, and securing them in the included Hardwiring Bay within the enclosure (it comes with a cover and screws). Mount the controller using included bolts. Is Rachio weatherproof? The TL;DR answer is: yes, with the right installation. If you aren’t concerned with weatherproof features, another great option is RainMachine— check out our comparison of Rachio vs RainMachine vs Skydrop for more information about the differences between the three devices.